This denim-inspired t-shirt features ribbed cuffs and a ribbed crewneck for a subtle sporty vibe. 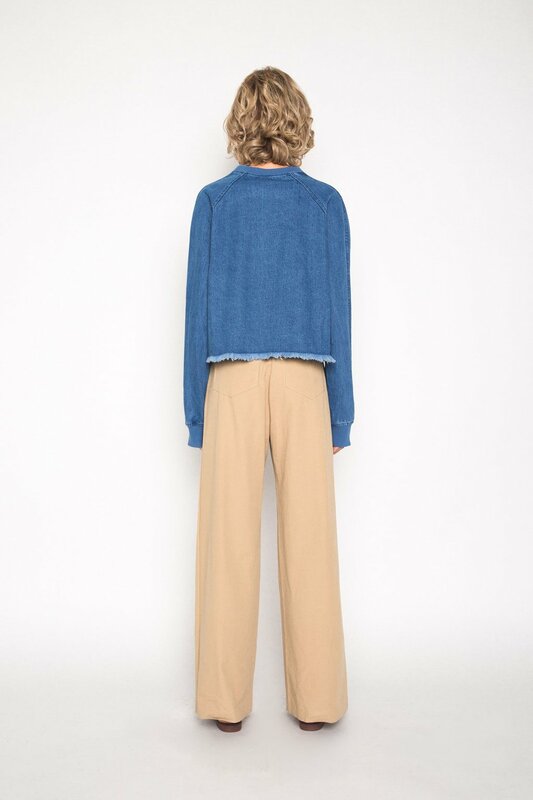 The slightly cropped length features frayed detailing at the hem for a chic look. Minimal but different, this piece is a cool yet versatile shirt for everyday wear. Pair with high-waisted trousers and sneakers for a cute yet casual everyday look.